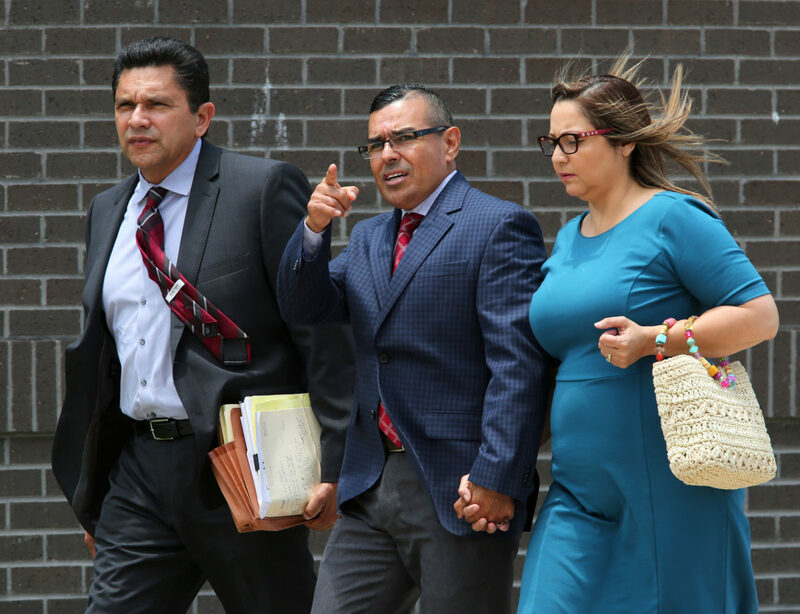 McALLEN — The trial of a former Hidalgo County bailiff accused of playing a role in a drug conspiracy will be delayed at least until early next year, court records show. In a motion filed Tuesday and granted by the court the same day, the attorney for Oscar De La Cruz, Mission-based Ricardo Salinas, asked for an additional two weeks continuance because of a scheduling conflict, and so that “(De La Cruz) can prepared (sic) to enter a Plea,” the document states. The fact that De La Cruz might be considering entering a new plea might indicate he is working on a deal with the government to avoid a trial — that was originally scheduled to begin next week. The 53-year-old Pharr native, known by friends and colleagues as a “righteous, family man, and a straight arrow,” is accused of playing a role in the movement of cocaine in conjunction with an unnamed drug trafficking organization. Specifically, De La Cruz, prosecutors allege, helped procure false court documents for people working with the drug trafficking organization to help facilitate the theft and reselling of cocaine. This is a common practice by those attempting to deceive the main supply source. By producing an official court or police document, those stealing the illicit drugs can legitimize their loss of the product to the supply source in Mexico, avoiding suspicion and severe punishment at the hands of the organization. Prosecutors allege that De La Cruz even forged the signature of a federal judge, former U.S. Magistrate Judge Dorina Ramos who worked in the federal courthouse in McAllen. In late May, De La Cruz pleaded not guilty before U.S. District Judge Micaela Alvarez to the two charges he faces: drug conspiracy and forgery. The now former Hidalgo County bailiff was arrested by FBI agents on May 4 in connection with an investigation into De La Cruz allegedly playing a role in a cocaine conspiracy involving several others. The ex-bailiff is one of nearly 20 defendants, former law enforcement among them, named in a superseding indictment, court records show. In a dramatic scene that evening, dozens of federal agents descended on the county courthouse to seize evidence from Hidalgo County Court-at-Law Judge Albert Garcia’s courtroom, where De La Cruz had served as a bailiff for at least two years. It was the second time this year FBI agents raided the county courthouse in connection with a federal investigation. Agents raided now former State District Judge Rodolfo “Rudy” Delgado’s courtroom in February in connection with allegations that the longtime judge was accepting bribes from attorneys in exchange for judicial favors in his courtroom. Delgado, who was indicted on several bribery charges, will face jury trial in February in a Houston federal courtroom. The motion was not opposed by the government, represented in this case by Assistant U.S. Attorney Roberto “Bobby” Lopez. The final pretrial hearing, which was set for Wednesday morning, was supposed to be the last court hearing before De La Cruz’s trial was set to begin next week, on Dec. 4, court records show. A new final pretrial hearing is set for Jan. 4, with jury selection in the trial scheduled for Jan. 8, 2019, court notes show. A message left for De La Cruz’s attorney regarding the granted continuance has not been immediately returned.